Eddie, The Poster – a lightweight assistant / tool developed to help you share your posts/links/photos on profiles, pages and groups. Assistant allows you to share your content and drive Facebook traffic to your website/blog/page. 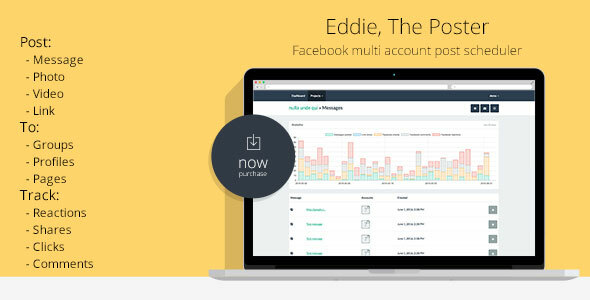 0 Response to "Eddie - The Poster | Facebook multi account post scheduler ~ Codecanyon"